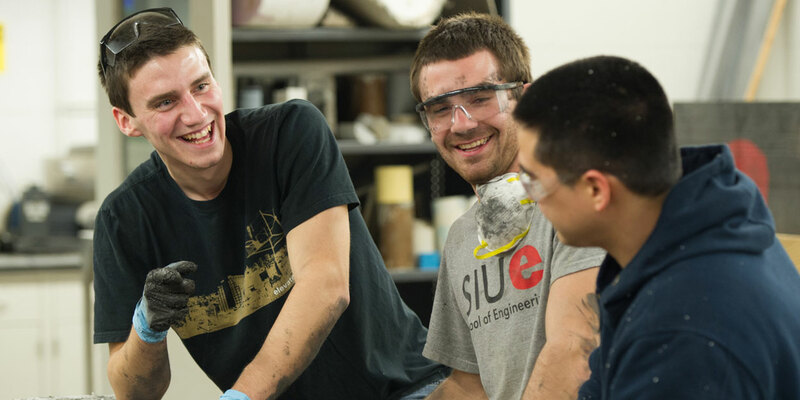 The SIUE School of Engineering understands that it can be difficult for our new freshman to adjust to college life and that it is common for them to feel a sense of isolation. To combat this, the School provides peer mentoring services to first year students newly admitted to one of the school’s programs. Having a more experienced peer outside the classroom with whom freshmen can discuss their concerns creates a more friendly college environment and can help with adaptation issues. The objective of the mentoring program is to engage freshmen as early as possible outside the classroom and help them achieve a smooth transition to college life. Furthermore, the mentors interact with the students in their group on a one-on-one basis to guide them through academic and college life issues. The mentors are recruited from among top junior- and senior-level students in various programs in engineering and are trained in effective mentoring strategies and group dynamics. Mentors use email, text messaging and social media to stay in constant contact with their students.